For most of October, University of Virginia alumnus Stephen Hiltner trekked through the wilds of England and Scotland, with camera, laptop and even spare firewood in tow. Hiltner, who graduated in 2007 with degrees in biochemistry and English, is a reporter and photographer for The New York Times’ “Surfacing” column, which tasks him and two other journalists with traveling the world to explore cultures that fascinate them. 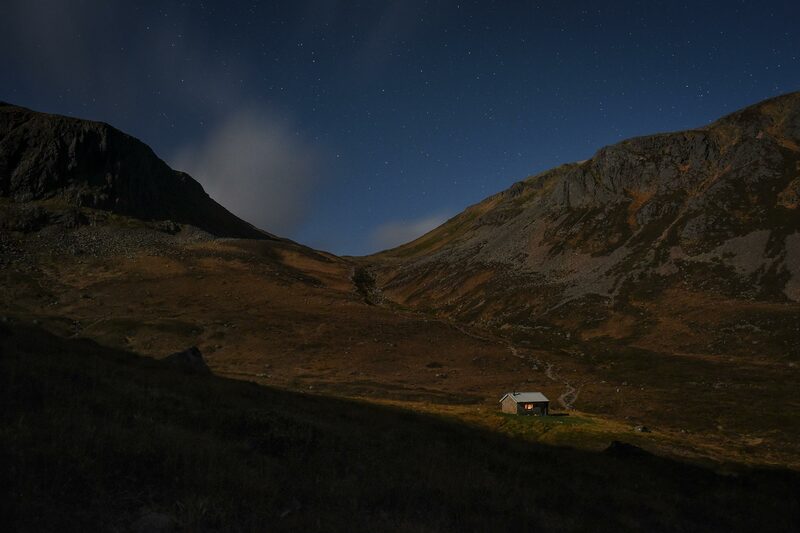 For this story, Hiltner was on a mission to explore “bothies” – rustic shelters dotted throughout England, Scotland and Wales that provide weary hikers with a free place to sleep and a few new friends along the way. It wasn’t an easy task. Hiltner lugged camera equipment on all-day hikes through mountainous terrain and spent his evenings in tiny stone or wood huts that, though beloved by those who visit, are hardly luxurious, most containing just a few wooden sleeping platforms and, if one is lucky, a wood-burning stove. 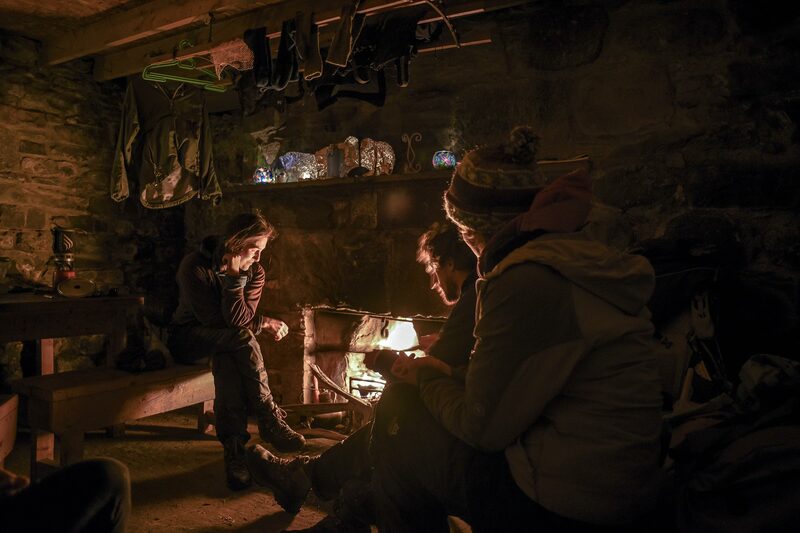 “I pretty quickly became obsessed with bothies and the culture surrounding them,” he said. For those who have yet to visit, Hiltner’s article and his breathtaking photos capture the magic beautifully. We spoke with him once he returned to New York to learn more about the impact of the article, his job at the New York Times and the UVA professors who spurred his creativity. Q. You studied biochemistry and English at UVA. What prompted that combination? A. For the first few years, I thought I was going to medical school, but by my third year I knew I didn’t want to apply right away. I had some great English professors, and I decided to major in that as well, to give myself another option. I ended up loving it, went to graduate school at Oxford, got a job at a literary magazine and then joined the New York Times three years ago. Q. Of all that you learned at UVA, what has stayed with you? A. I had several wonderful professors who really encouraged my creativity in a way that has lingered. [English professor] Mark Edmundson had a profound influence on me, as did William McDonald, one of my German professors. I took a photo class with [photography professor] Bill Wylie and even though I had to withdraw, he let me use the photo lab on my own. I ended up spending a lot of time there and he was so encouraging. Another of my most influential professors was the late Victor Cabas, who taught a summer course on Shakespeare. He was engaging and encouraging, and became something of a mentor, always pushing me to do better work. He was also just a fascinating person – he built his own home, played blues guitar and never owned a cell phone. I was saddened to learn that he died last year, and I regret that I never took the chance to tell him how much of an impact he had on my outlook – on literature and more broadly on life. Q. 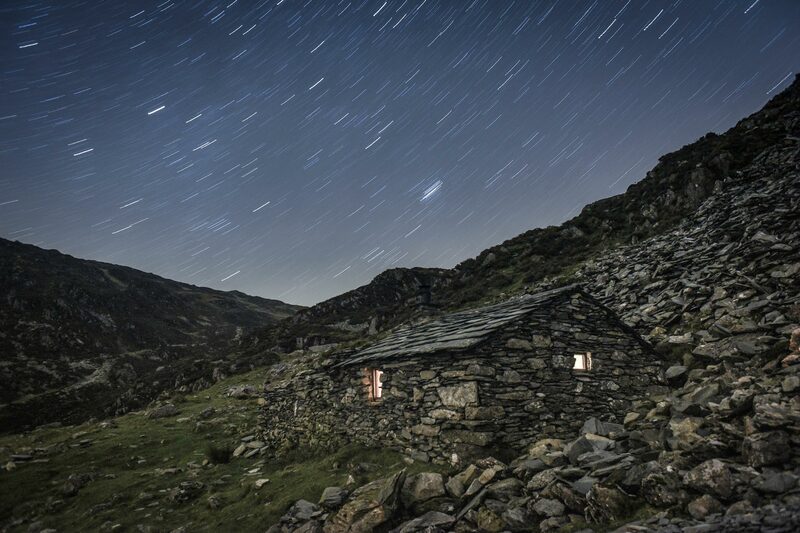 How did you get the idea for the bothies story? A. I have been on this Surfacing residency for one year, and it is a really cool assignment. We have a lot of independence, and we get to do both the reporting and the photography, which is a little unusual at the Times. Many of my story ideas come from reaching out to people in interesting parts of the world, talking to friends or simply scouring the internet. 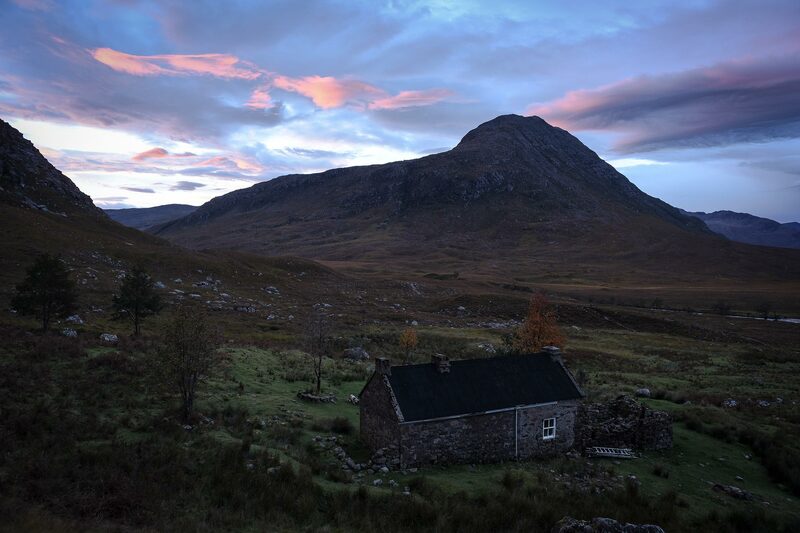 This one came from poking around a bookstore in New York City, where I found a fantastic guidebook, “The Scottish Bothy Bible.” I was going on a family vacation to Scotland anyways, so I checked out a few bothies and pitched the story to my editor. Soon after that, I started planning my big trip back to fully report the story. Q. What was the trip like? A. I spent about two weeks hiking over there, and about two weeks beforehand researching and getting in touch with people. I was reporting solo but my dad and my sister joined me for part of the trip, and I was very glad to have their company on some of the more treacherous hikes. I had a pretty heavy pack, probably about 50 pounds, because I had to carry all of my camera equipment. I also had to carry firewood, because many of the bothies have fireplaces but rarely have wood available. I was there in October, and it could get pretty cold at night. There were definitely times when it was uncomfortable or exhausting, but it was very worth it. Q. Your photographs are beautiful. What did it take to get those shots? A. I had my camera with me the whole time, and probably took thousands of pictures. I really enjoy shooting star-scape photos and did a few nighttime shoots. Some of them were long exposure, ranging from about a 30-second exposure to as much as 10 or 15 minutes. I have been interested in photography for a long time, and I have really gotten to explore it professionally this year. Q. Besides this one, what are some of your favorite stories from the last year? A. I spent a really interesting week in Las Vegas covering Defcon, a huge hacking and cybersecurity convention. I also spent a week at a cloistered Catholic monastery in South Carolina. Q. In your article, you touch on how social media can both draw attention to remote places and perhaps overwhelm them, as more and more visitors come. How do you, as a travel writer for a large publication, reconcile the desire to share these places with the desire to preserve them? A. It’s a question we think about a lot, and the Times has written several stories about the effect Instagram, for example, has had on remote, delicate sites of all kinds. On the one hand, I could be contributing to the problem by writing the story. 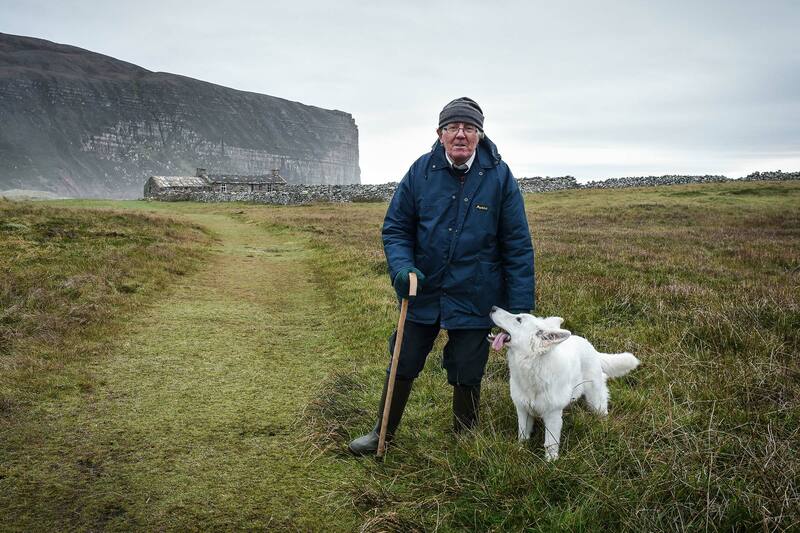 On the other hand, I have already seen someone comment that he was not going to visit a bothy, but was going to donate to their preservation. In that way, I believe that creating broader awareness about a culture can have great benefits, and perhaps further encourage people to respect those sites. I hope stories like mine tip the scale in that direction. Q. Are there any themes or places you are interested in for your next story? A. I came across a lot of interesting ideas in Scotland while working on this story, especially efforts to “re-wild” some of the land that has been altered over the past century or so by introducing more native plants and animals. I hope at some point I will get a chance to write about that.